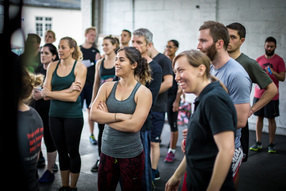 Whether you are an experienced CrossFitter or have never heard of CrossFit before, please have a look around our site to learn a bit more about what we do. ​If you're interested in joining or have any questions, get in touch with us by filling out your details here. We'll call you shortly to answer your questions and/or arrange a visit to the gym. 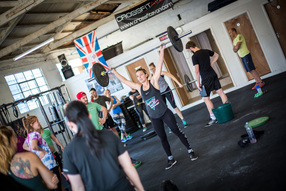 Crossfit Avon has the ability to change your lifestyle and the way you train forever! In my time at CrossFit Avon I have made progress that I never would have believed. I’ve made a lot of new friends in the classes and always enjoy the sessions. Get your CrossFit Avon stash direct from BoxShop! 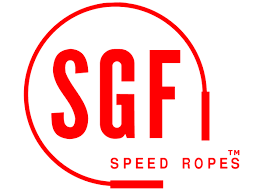 We have teamed up with the guys at SGF Speed Ropes to bring you bespoke CrossFit Avon skipping ropes. 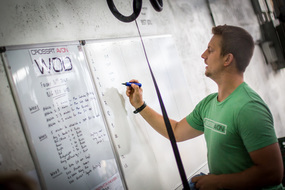 Many of the coaches and members at the box use these ropes for bashing out their double unders. The rope is tailor made to match your height and there is a choice of colours for the handles and cables. Click on the logo to make your order and don't forget to use the code 'cfavon' when you check out.